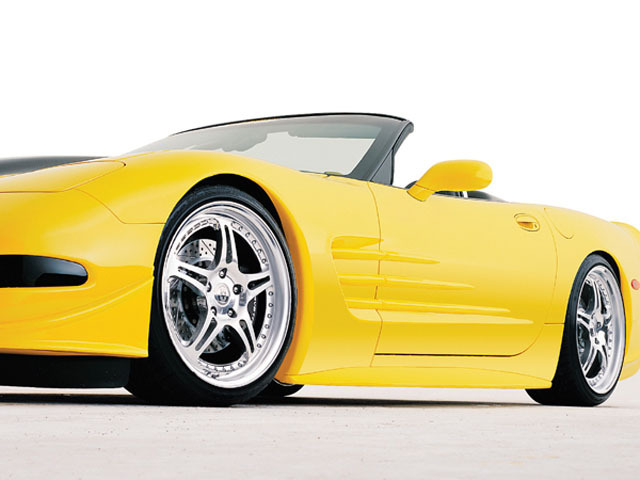 04011003 Chevrolet Corvette C5 97-04 C5 RK5 Door Strikes (pair) : VDI Motorsports, Division of Vertical Doors, Inc. Whenever possible the actual picture of the item is provided but in some rare instances no pictures are available but the item you are purchasing will fit the vehicle in the listing. Most items are in stock in the rare case an item is out of stock fabrication of fiberglass products is 4-8 business days and carbon fiber products is 10-16 business days. R.K. knows first-hand with his extensive racing background that having the best team makes a winning program in both racing and business. In 1982 R.K. was named "Southern California's SCCA Driver of the Year". That same year, R.K. co-founded Swift Cars and started the developing the Swift Formula Ford. Then in 1983 and 1985, R.K. won two National Championship titles in a prototype Swift. In 1990 and 1992, he won two World Challenge titles in a Corvette. Finally, in 1993 with his experiences both on and off the track, R.K. founded RKSport, Inc. Sorry but we do not accept personal checks, company check or Certified Checks. SHIPPING: Orders are typically shipped to destinations within (3-10) business day after receipt of payment. PLEASE ALLOW 1-5 DAYS FOR TRANSIT TIME. Your order is custom packed for its protection. Shipping insurance is included in our quote. For faster delivery or shipment to Hawaii, Alaska, or Canada, please requests an updated quote prior to remitting payment. We provide products directly from manufactures and in the rare case an item is on backorder our purchasing power enables us to be first in line. You will promptly be notified if an item is in back order and given an e.t.a. for arrival. UPS tracking information will be emailed to you when it becomes available. Note: UPS cannot deliver to PO boxes. Be sure to specify a delivery address and Telephone number. Canadian buyers may incur an additional brokerage fee. Orders are not shipped on weekends or holidays.